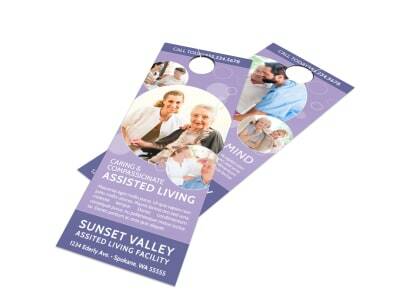 Customize our Independent Assisted Living Door Hanger Template and more! 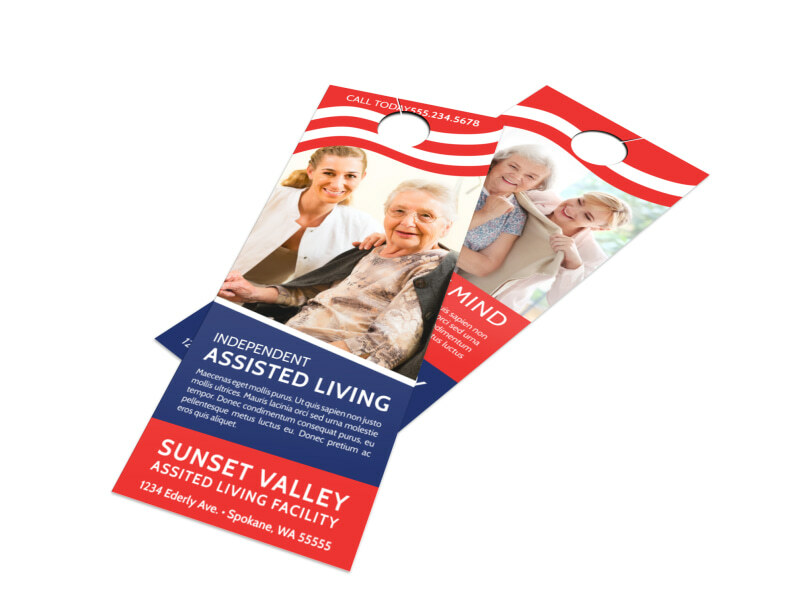 Help the locals understand the options available to them with this door hanger to promote your independent assisted living facility. 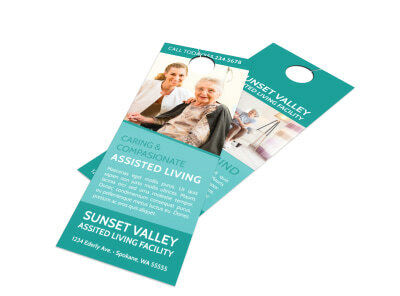 Instill confidence in potential residents with an overview of what your facility has to offer along with contact details if they would like to reach out for more information. 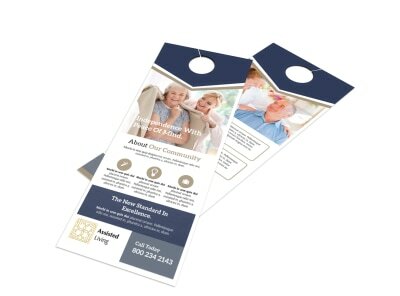 You need no design degree in order to bring this door hanger to life, so get busy with our online editor today.